Born in Bath, England in 1974, a self-professed “funny onion”, equal parts sport loving jock and comic book geek. I am a lover of horror and character driven stories. I am also an A.S sufferer who took to writing full time two years ago after being forced to give up the day job. I have a career high position of 5th on Amazon’s Horror Author Rank of which I am immensely proud. 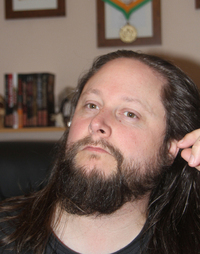 I was also accepted as a full member of the Horror Writers Association. “GATED” is the 2015 Readers Favorite Gold Medal Winner. It is also a UK & US Horror Chart Top Ten Best Seller & winner of the Full Moon Awards 2014 Horror Book of the Year. “ASYLUM – 13 TALES OF TERROR” was a US Horror Chart #5. It was also voted #5 on The Horror Novel Review’s Top 10 Books of 2013 & was the Readers Favorite 2014 Gold Medal Winner for Anthology Fiction. “ASYLUM II” was also a UK & US Horror/Anthology #1 and is the 2016 Readers Favorite Silver Medal winner for Anthology Fiction. “THE TRAVELLING MAN” won an Indie Book of the Day award. “ABRA-CADAVER” is the 2017 Readers Favorite Silver Medal Winner for Horror Fiction. It is also a 2015 Kindle Book Review Finalist, an Indie Book of the Day winner and the 2016 Book Excellence Award Winner for Horror Fiction. Visit my website to download free short stories and the full length multi award winning novels “Abra-Cadaver” and “Double Visions” for free. Crowtree Manor has stood empty for many years. It was the place of a brutal murder that happened by the most unexpected person on Halloween night. Many years later a Halloween surprise goes horribly wrong. In the present, someone is renovating it but that person has so much more planned than just making a wonderful home to live in. Those that cross paths with Crowtree Manor have secrets of their own. Stories of possessed computers, mummy princesses, stalkers and so much more intercept with the story of Crowtree Manor. Around and around we go from twisted story to another. Ramping up the tension until it all comes crashing down upon our heads. I love a good horror story and this book touches upon several themes we see in those stories. I love how they all connect to the mansion and how the characters find their place in this house of horrors. 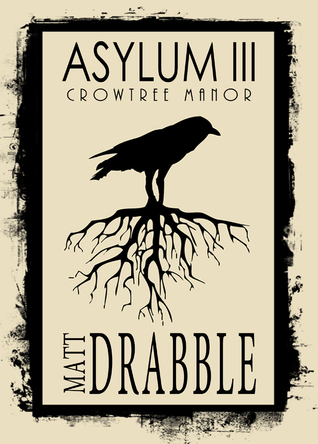 This is my first book in the Asylum series and my first from Matt Drabble. But this will NOT be my last. I loved how each story drew you in closer and closer to the heart of pure evil. If you love horror stories too you need to check this book out. Now I’m going to go catch up on the other books that I have missed. 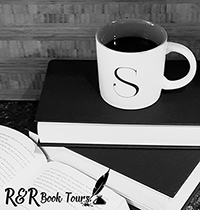 I would like to thank Sage’s Blog Tours for the opportunity to read and share this book.